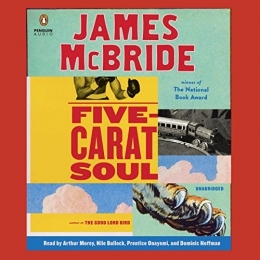 In this collection of stories, James McBride explores the ways we learn from the world and the people around us. An antiques dealer discovers that a legendary toy commissioned by Civil War General Robert E. Lee now sits in the home of a black minister in Queens. Five strangers find themselves thrown together and face unexpected judgment. An American president draws inspiration from a conversation he overhears in a stable. And members of The Five-Carat Soul Bottom Bone Band recount stories from their own messy and hilarious lives. Read by Arthur Morey, Prentice Onayemi, Dominic Hoffman, and Nile Bullock.